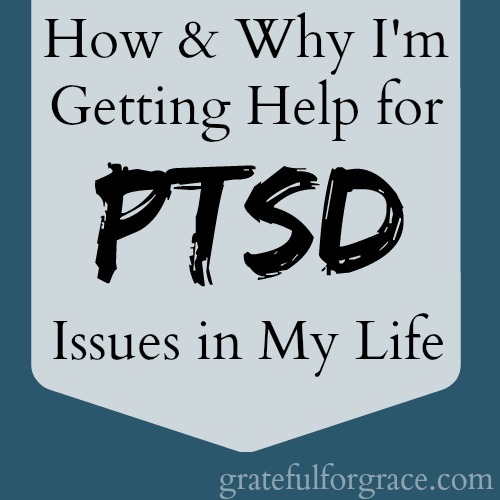 Today is part 2 of me dealing with PTSD, so please be sure to read Part 1. It was the WHY of getting help. I shared my realization of the depth of my problem with PTSD related to my mama’s death, my son’s traumatic birth, my son’s near death experience, and Jubilee’s breathing issues while in the NICU. Today is the HOW. Walking through a panicky situation where you relive a moment and see the current one through that is incredibly scary. And I didn’t and don’t want to live like that. So, I called a friend who is also a biblical counselor. Her name is Edie. Why did I choose her? I trust her. She has the training. And she lived through the awfulness of her husband dying in the bed next to her on vacation with their three children and giving him CPR to no avail. I knew she may have battled struggles of fear. I met with Edie the week before Christmas and it was great. Just as I had guessed, she was loving, and firm, and encouraging, and helpful, and fully biblical. I cried. I shared. I listened. And I left with a beautiful plan. I share it with you in case you have gone through something similar and still struggle. Or in case you love someone who needs help. I have never needed to take each thought captive more so and it has never been more difficult. Read Philippians 4:6-7, I Peter 5:6-7, Psalm 37, Psalm 46, Joshua 1:9; Isaiah 26:3-4, and Psalm 28:7-8 daily and as needed. Call lies lies when I think them. For example, when I start to think that it’s my fault my mom died when and how she did, call that a big lie. When I start to think I am not doing enough or that Jubilee will die because I will be irresponsible, call it a lie. When I worry I am not a good enough mama for her, call it a lie. Confess to the Lord when I am anxious and worrying as opposed to resting in God. I would encourage anyone who struggles with PTSD or PTSD moments or anyone who wants to help those who do to listen to this great session by a biblical counselor who works with vets who struggle with PTSD. If you say, ‘Joseph was a good man and when he was faced with difficulties he chose to do good with it and as a result a good God blessed him for it’. If you say that, you will add to the burden to the person you are trying to help. I don’t make good choices all the time. Do you? No one makes good choices all the time. You set the person at a disadvantage if you go there. While my struggle isn’t exactly the same as a soldier’s, it is real and it was overwhelming. I can’t fully explain what it’s like to suddenly be reliving a terrifying moment without wanting to do so. But I do believe with all my heart, soul, and mind that God desires to heal me of this and bring me to a place of perfect peace. No matter what sounds Jubilee makes. And that it is not my fault that my mom died that night. And that I am not a negligent mom. I just need my full mind and my heart to believe it all. And, so I trust in Him as I move forward to rid myself of the PTSD beast. NOTE: I am not a doctor. I am a level two certified biblical counselor. This is my personal journey to get help. If you are having suicidal or murderous thoughts, get help right this minute. Do not wait. To find a biblical counselor near you, look on ACBC’s database. Get help. Now. Have you had this struggle? Do you know someone who needs you to lovingly come alongside them to help?